The work, taken from vol. 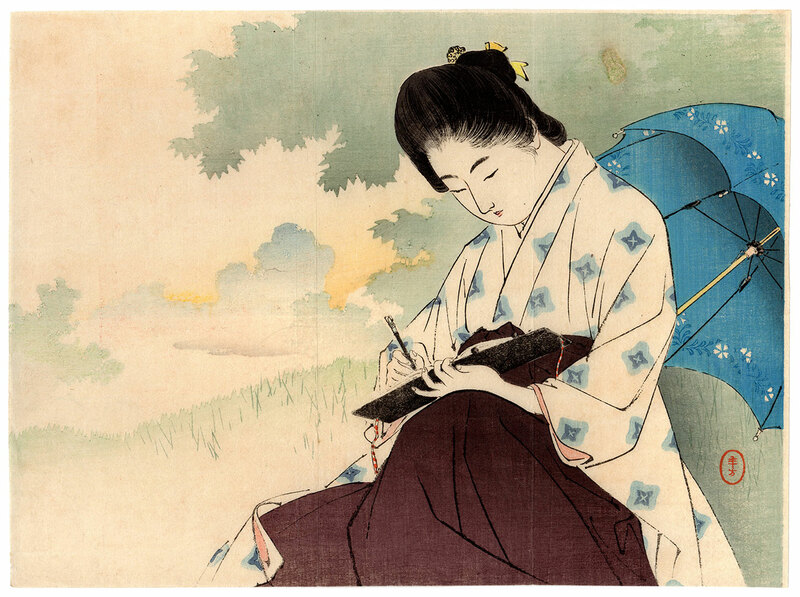 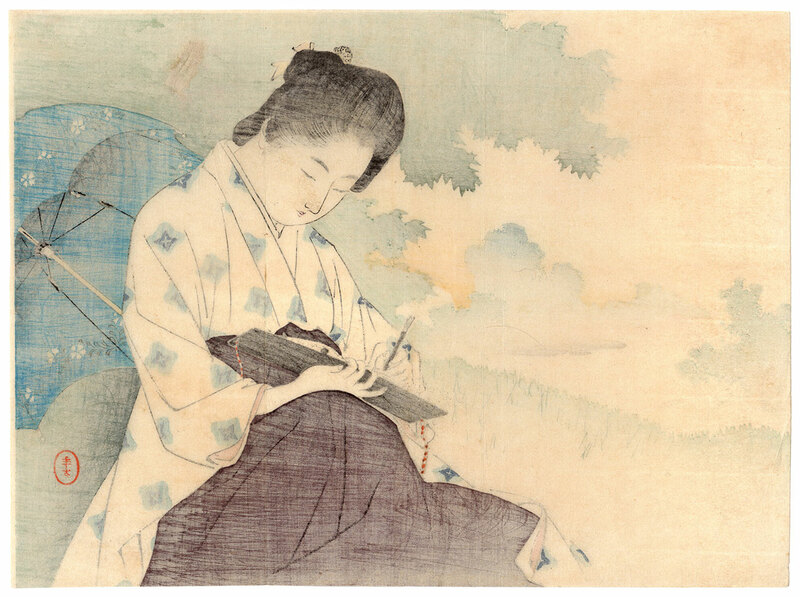 9 n. 9 of the famous literary magazine Bungei Kurabu (文芸倶楽部), was printed in 1903 by the Hakubunkan (博文館) publishing house and is titled "Beauty sketching in the suburbs" (美人の郊外写生). The print on Japanese washi paper (和紙), despite a small restoration on the upper right, is in good condition.